Detroit is more than a little worried about the tech-centric future of automobiles, namely the ones that drive themselves. So it’s no surprise that GM is investing $500 million in Lyft to build a network of autonomous cars. Why not just buy the whole company?! Well, that’s not a crazy idea. 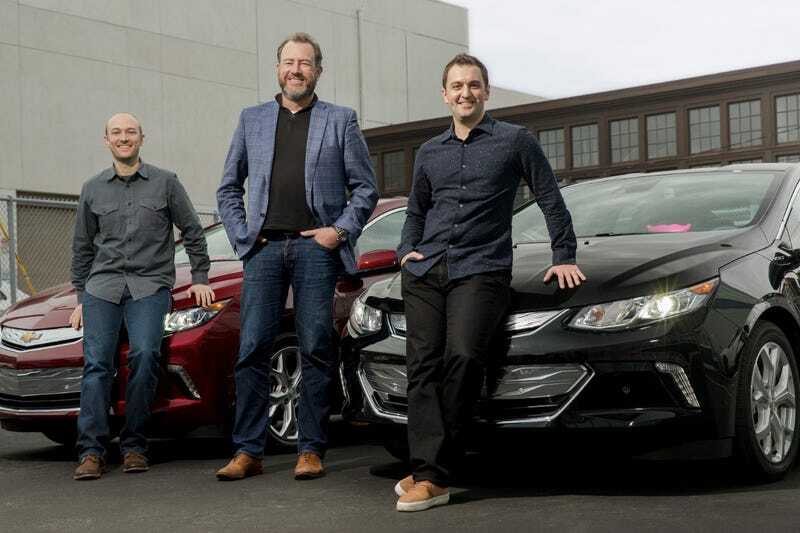 GM’s massive new investment in the pink mustache crew shows not only an attempt to get into the car service business but also to find a partner in Silicon Valley that will help them keep up with the rumored collaboration between Ford and Google. (Google is also a major investor in Uber, Lyft’s biggest competitor.) Lyft couldn’t sound more thrilled about about the challenge of reinventing mobility with a blue chip company at its back—and on its board since a GM rep will now take a seat there. That sounds pretty futuristic! It would also be cool to have a party Lyft playing Interstella 5555 to take you to the club and then a time-for-bed Lyft with Enya music videos to get you home safely But how are you going to make friends with the driver if there isn’t one?